At the start of the French Ligue 1 season many expected Paris Saint Germain to dominate the League as Bayern Munich and Juventus did or are currently doing in their respective German and Italian versions. But with 30 games gone and only a couple of months for the Ligue 1 to end, few could have predicted that there would just be two points separating the top three - PSG, Lyon and Marseille. With just 8 more matches left, Saturday's Le Classique between PSG and Marseille will set the tone for the remainder of the season. Champions PSG overcame Lorient 3-1 last week aided by a Ibrahimovic hattrick and redeemed themselves from a humiliating 2-3 loss to Bordeux earlier this month. After their splendid show at Stamford Bridge to eliminate Chelsea from the UEFA Champions League, the French giant haven't been able to find their feet. There have been frequent churning at the midfield and back positions, but Laurent Blanc's strategy to cast defender David Luiz in a more central and attacking role seems to be paying off. Thiago Silva's versatility and ability to play upfront rather than as a pure defender is an additional asset too. Ibrahimovic could be inconsistent in his brilliance but that could be more than made up by the industriousness and goal-scoring opportunism of forwards Cavani and Lavezzi. No one would have imagined Olympique Marseille to be at the top of the table in December end Christmas time. But 2015 began horribly with losses to Montpellier, Nice and Caen and draws against Saint-Etienne and Reims. Their recent form has been patchy at the best. Besides two thumping wins against Toulouse (6-0) and Lens (4-0), they have have drawn with Lyon and Nimes and finished off last week with a disappointing show against Ligue minions Caen when they lost 2-3. Michy Batshuayi, Andre-Pierre Gignac and Andre Ayew will have to be in their elements if they are to get past PSG on Sunday night. Andre-Pierre Gignac's 16 goals for Marseille is one less than Ibrahimovic's 17 for PSG. Young Belgian talent Michy Batshuayi with 8 goals from 19 games will be another who could severely test the formidable PSG defense and so will Andre Ayew who has 7 from 21 games. 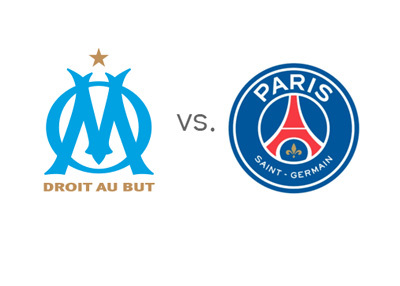 Laurent Blanc's PSG will have to deal with a Marseille team in front of a passionate Stade Velodrome. Marseille need three points to have a shot at the top position in the Ligue 1 and will probably go hammer and tongs at PSG from the very onset. Le Classique clash of April 5 could well be a title decider. The match will be a very tight affair though as the odds suggest but with a slight bias towards PSG. Shockingly history shows that PSG haven't beaten Marseille even once in their previous six encounters with 2 losses and 4 matches ending in draws. Would history repeat itself or it could be different this time.? It promises to be a cracker! PSG just might have the goods to pull it off this time.